Two years since his last release for Hospital Productions (A Gathering Together) L.I.E.S. 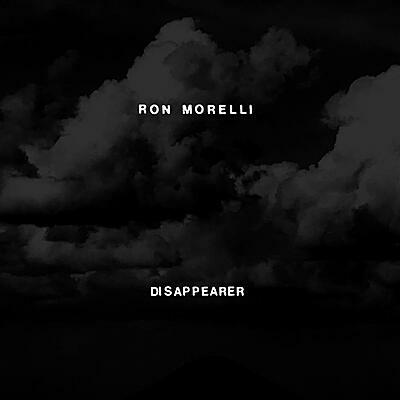 Records boss RON MORELLI returns with Disappearer, his third full-length. Disappearer claws and tears its way through 13 tracks at 54 minutes long, touching upon everything from cold, stripped-back electronics, to hints of 1990s Hague scum techno, to grim passages reminiscent of early tape minimalists, the amalgamation forming a nasty sonic narrative that reaches an explosive unsettling apex. This is a definitive return to tense, urgent punk roots; the minimal beat construction, unexpected acid burned vocals, and stark atmospheres touch upon Morelli's full spectrum of influences with his signature rusted razor production. Composed over the last two years in various foul states, the album is a fusion of base level hardware programming, open room mic recordings and extensive computer processing, all finalized in the Paris studio of KRIKOR KOUCHIAN. Compositionally, Morelli has fused the brute immediacy of his then-controversial now-cult debut album Spit with intricate compositional cut-ups of cassette culture, the updated crushing production the product of having circled and lived Europe's nightclub circuit for close to a decade. Presented here as a double LP with new artwork, re-sequenced and edited from its original cassette format.